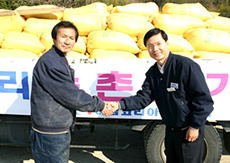 EM Korea works for the development of local communities. Based on the management philosophy of “Power of human and positive thinking”, we are doing social contribution activities to contribute to the development of the local communities for achieving our sustainable management. EM Korea which respects human has practiced a movement for helping rural villages along with the scholarship project for training and developing the human resources. 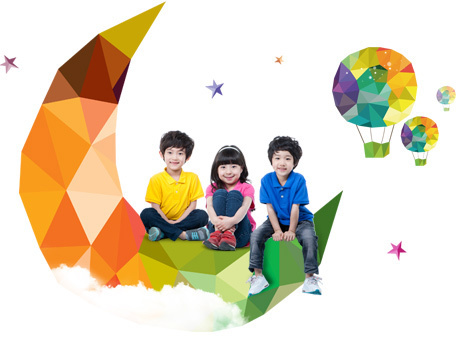 We aim at doing social contribution activities as “a company representing the nation”. As a scholarship project to bring up local students, EM Korea has granted scholarships to excellent students in the department of Mechatronics, Changwon National University since 2011 and taught them what the company needs in the university. They were then employed and put into the field directly without additional training period after graduation. 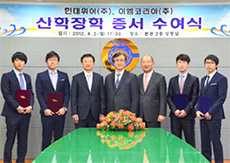 And the company made a sisterhood agreement with Gyeongsang National University, Kyungnam University, Changwon Moonsung Unviersity, and Korea Polytechnics VII Changwon campus to provide them with jobs and share the research data and information with them to improve our productivity. 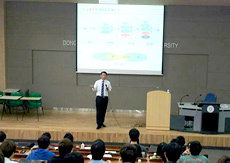 The company also participates in the “CEO’s special speech” for engineering students. Activities to help farming area in order to live together. EM Korea puts the first priority on human. The company made a sisterhood agreement with rural villages as a movement for living together. 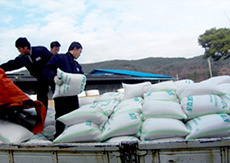 The company has purchased rice form the rural villages and distributed to employees and poor neighbors since 2004.